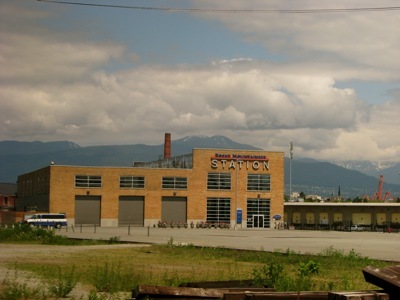 Rocky Mountaineer station. Photo by Sue Frause. There was a big party in Vancouver last month, and it involved a very big train. On April 19, 2010, hundreds of people gathered to celebrate Rocky Mountaineer’s 20th anniversary -- many of them were also curious to see the official unveiling and dedication of its new train design. 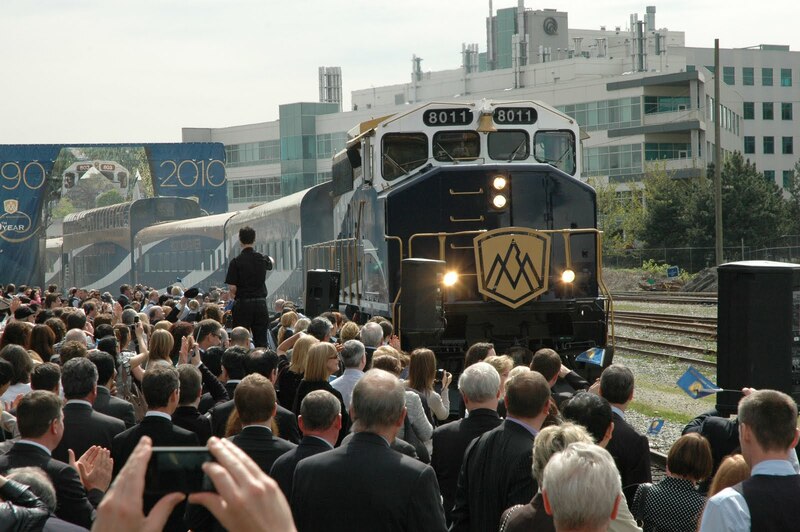 Featuring the company's new gold and blue colors, logo and word mark, the train broke through a 28-foot branded barrier located at the west end of the Rocky Mountaineer Station. The event also included a special dedication of locomotive #8011 to Peter Armstrong, Founder and Executive Chairman of Rocky Mountaineer. The Rocky Mountaineer received worldwide exposure last year when The Bachelorette's Jillian Harris rode the rails with her wanna-be boyfriends from Vancouver to Alberta. To celebrate its two decades, Rocky Mountaineer is offering train travelers a credit of up to $500 CDN per couple toward additional vacation experiences when booking a rail tour of 7+ nights. That means you can extra hotel nights, city tours, meals, airfare, car rentals and even a ride on the Rocky Mountaineer Whistler Sea to Sky Ride. The offer is available for 2010 bookings, which must be made before May 28, 2010.